We hope you had a meaningful and memorable Veterans Day Weekend. Read below to learn about what is happening in Puyallup this week. Get ready for an event that is full of colors and fun! It is the perfect time of year for a quilt, craft, and sewing festival. With the colder weather coming, it’s time to cozy up with a warm quilt next to the fireplace. Quilts make an amazing holiday gift because of the thoughtfulness and personal touch that goes into creating them. The festival features a wide variety of supplies, notions, patterns and techniques in the areas of sewing, quilting, needle-arts, stenciling, embossing, crystals, fabric crafts and more!If you are a veteran quilter or just starting out, you will have the opportunity to swap ideas, tricks, and techniques, and share in the company of those who see the value in this great craft. See what you can find in the treasure hunt of vintage goods! I don’t think you’ll be taking home any junk, but rather some festive and fun things to add a personalized touch to your home. You don’t want to miss this event! This event was formerly known as junk salvation. Come check out the Great Junk Hunt Holiday Market, it is sure to take your Christmas decorating to the next level. Do you enjoy a nice meal and supporting a good cause? Come check out Reality Sports dinner! Reality Sports is a non-profit organization that aims to “turn the world upside down” through sport by competing according to the words and life of Jesus Christ. Their Annual Dinner is the primary fundraiser to support this mission. Click here to register for the event. Come check out the Washington Arms Collector Show at the fair this weekend! Experience the North Pole at the Fair this weekend! Take a peek into Santa’s world and experience the magic of Christmas. Your kids will be entertained for hours with all the different activities! Click here to learn more about this event. The Puyallup Public Library in downtown is always hosting activities for all ages and interests. 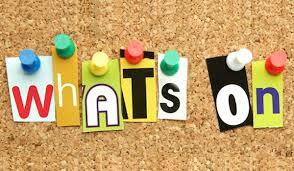 Click here to learn what is happening at the library this week. The weather this week calls for a mix of rain, showers, and overcast. In between those rain showers, you might like to get out of the house and check out local parks. The city is offering a convenient opportunity for clean up! Click here for full details. During the fall clean-up, utility customers may leave up to three extra bags of garbage for curbside pickup.Utility customers may also recycle one major appliance at no charge this week. We would love to see your highlights from these events. 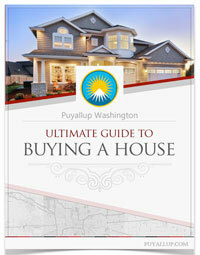 Find us on Twitter https://twitter.com/puyallupcom and tag us @puyallupcom or find us on Instagram @puyallupwashington and tag us! Did you have a memorable time at one of the events at the fair? We would love if you shared with us! That’s all for this week! 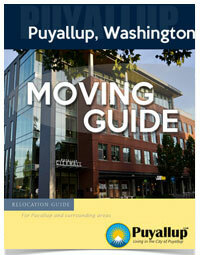 Check in next week to see what is happening in the Puyallup community.